One thing that makes great looking bolsters is to have beautifully pressed pins so that one cannot tell if and where the pins are located. This gives the appearance that the bolster is fixed to the tang without hardware. 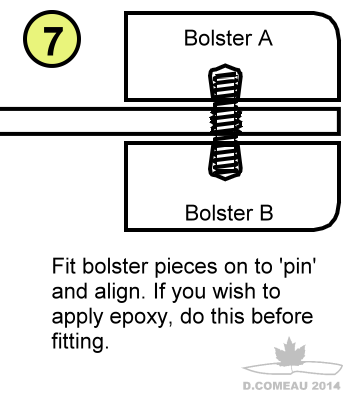 I guess attaching bolsters without hardware is possible if they are epoxied, but this could lead to trouble down the road. Most knifemakers are of the opinion that we should never rely on adhesive alone to fasten anything. When a good mechanical connection accompanies the epoxy we have the best of both worlds. The following is a pictorial of my "hidden pins" experiment. When you are laying out your metal bolsters plan for how many pins you want to put in and where. In the case of a rear bolster maybe you'd want two for added strength. In my graphics I will show one for simplicity. Drill the holes with a 9/64 bit. If you have numbered bit use a No.29. Tap with an 8-32 tap. 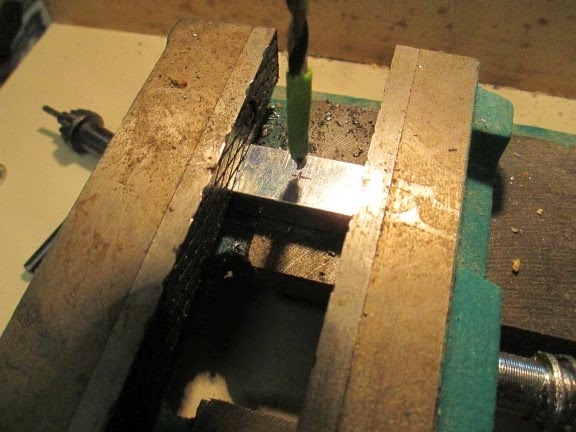 Use a little cutting fluid and de-burr after tapping. 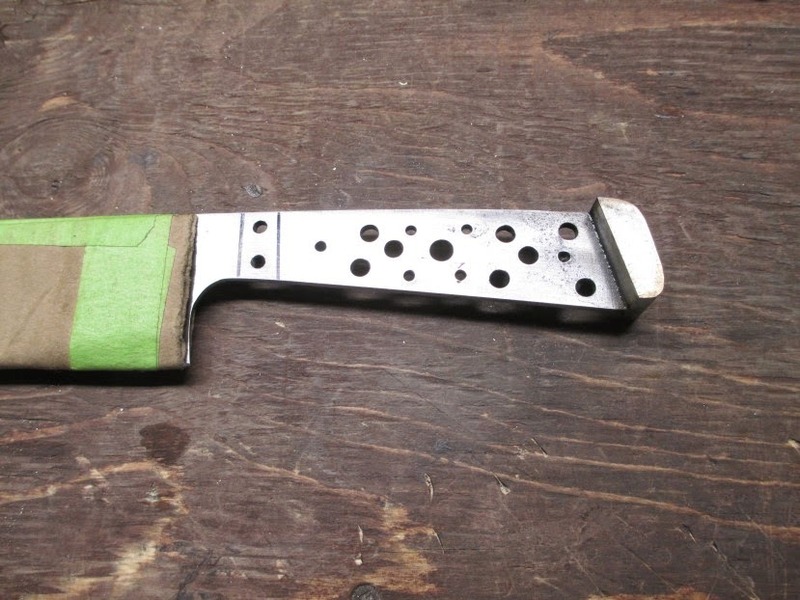 Once your holes are drilled and tapped, you can go ahead and heat treat the blade as you desire. If you have handy some machine screws they work great for this part. Brass screws won't rust, are a little softer this they squish better so they are a good choice. The idea is to to use something that will squish under force. 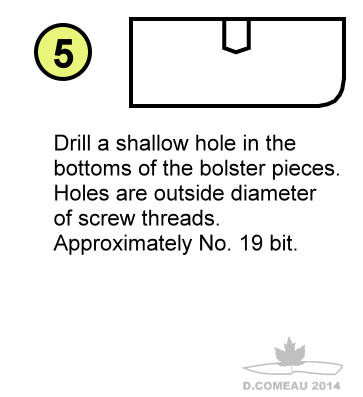 This overall pin length is also dependent on Step 6 and how much material you remove from inside the hole. My rule for this is SQUISH AN EIGHTH. 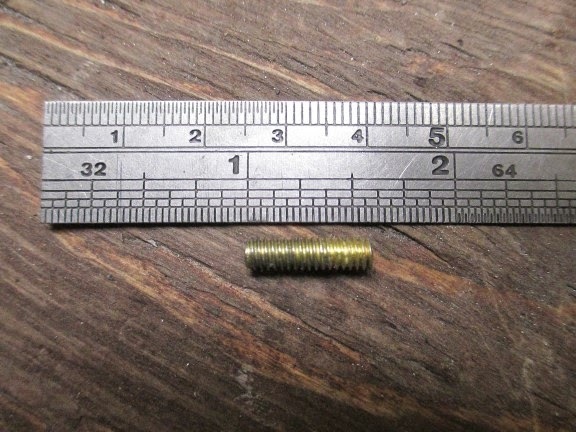 Machine screw, 8-32 x 1" * Later found this was steel screw with brass coating. Caveat emptor!! 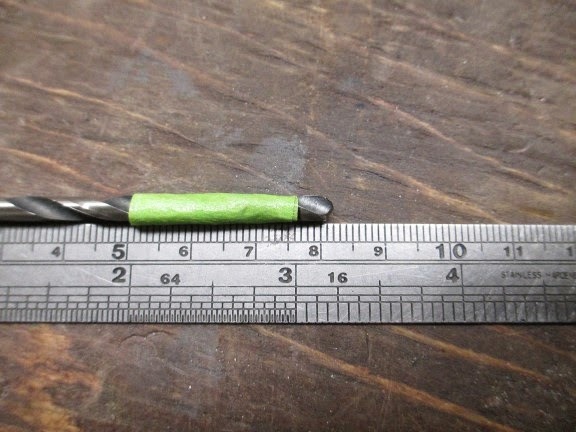 Mark the 5/32" drill bit at 3/16" from the tip. The masking tape is only a good visual depth gauge. We don't want to drill any deeper than 3/16". Drilling on drill press. 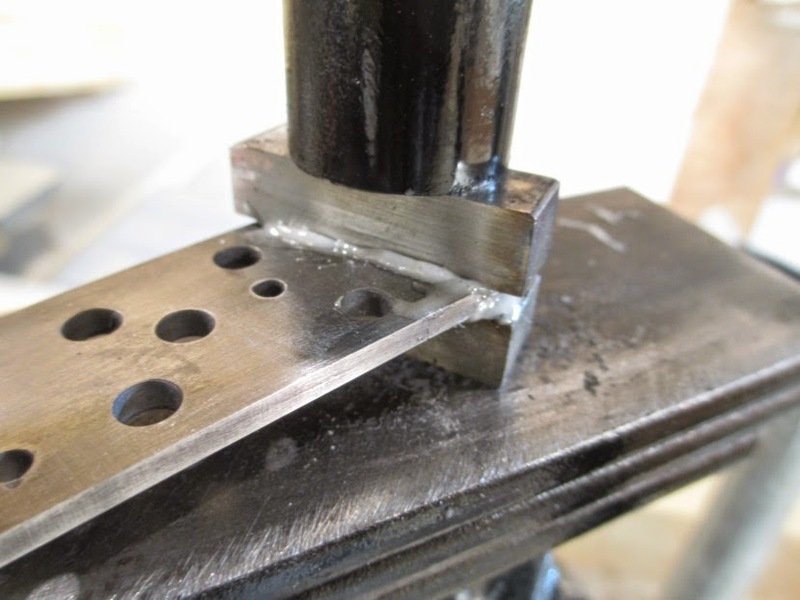 You can use your depth stop on the drill press too prevent the bit from going deeper than 3/16". 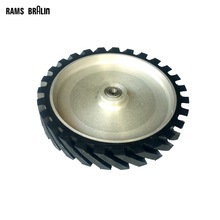 With the diamond ball moto-tool bit make the bottoms of the holes larger in diameter than the hole openings. This will create a taper. My diamond ball moto-tool is a weird shape. 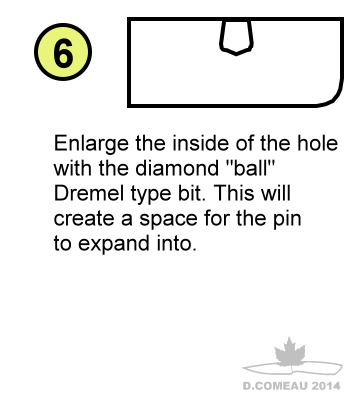 I'd prefer to have a real Dremel such as 7103. Now on to the tag and pin. 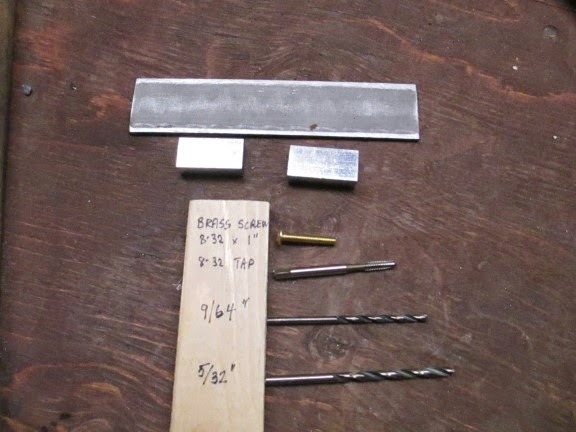 Drill tang with 9/64" bit, add a drop of cutting fluid and tap to 8-32. Cut the machine screw. This is a critical part. You need to calculate the correct length for your application. Different tang and bolster thicknesses alter this length. 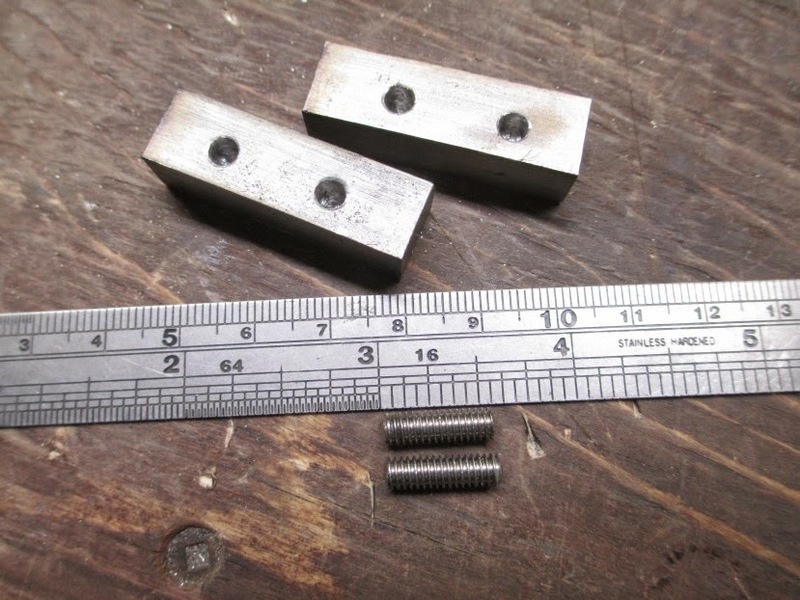 For 1/8" tang and 3/16" deep holes I used a 5/8" length of machine screw. 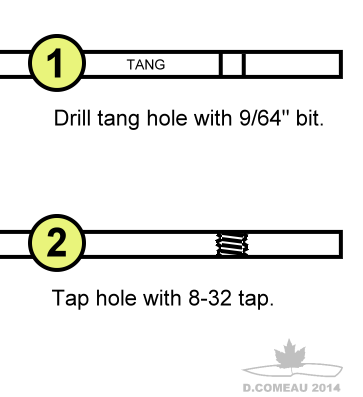 For 1/8" tang and 3/16" deep holes + /8" squish = 5/8". Basically you want to "squish an 8th" for an 8-32. 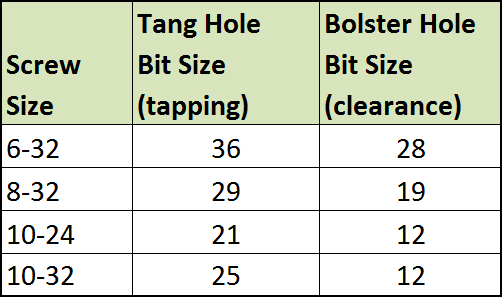 So deeper holes or thicker tangs need to have longer pins. Hole1 depth + Hole 2 depth + tang thickness + 1/8" = screw length. 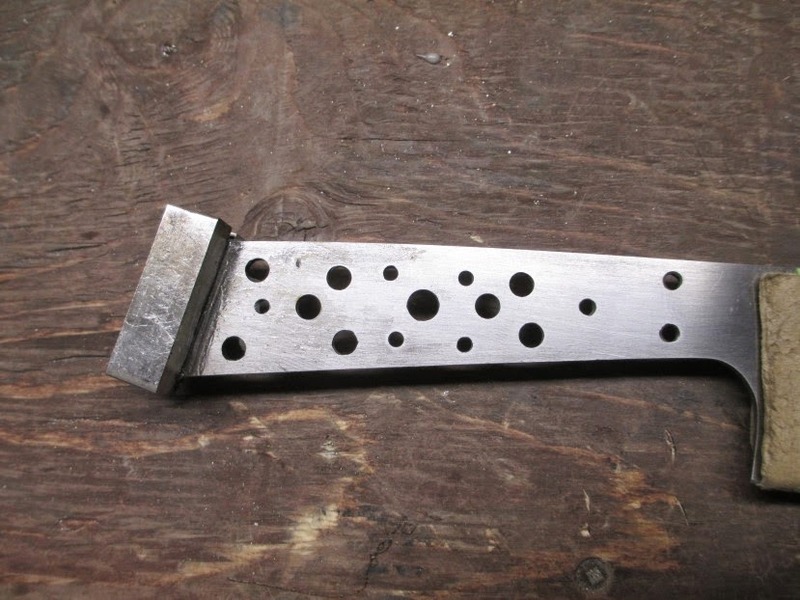 If you really hog the holes in the bolster pieces, use 5/32" as your squish factor. 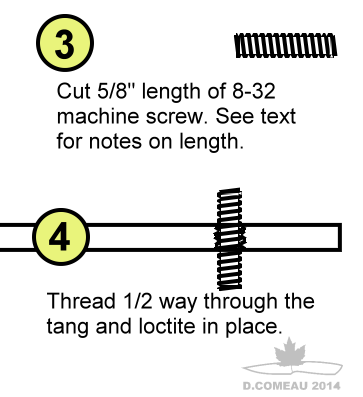 Thread the machine screw in 1/2 way so that the same amount of screw is on each side of the tang. If you want to add a spot of Loc-tite or super glue that's okay, I didn't need to. 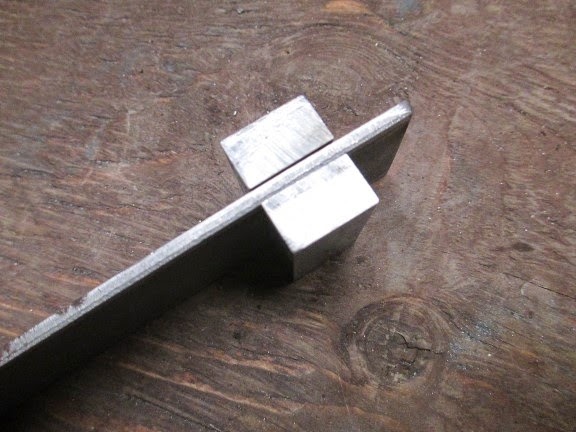 Slip the two bolster pieces on hold them in place while you get over to the vise or press. Squeeze! I used a 4" vise and that's lots of PSI. Compress until the surfaces meet. Note: I could not rotate the bolster pieces by hand. Even though this is one pin in the centre. To reveal , I cut the bolster piece with a hacksaw. 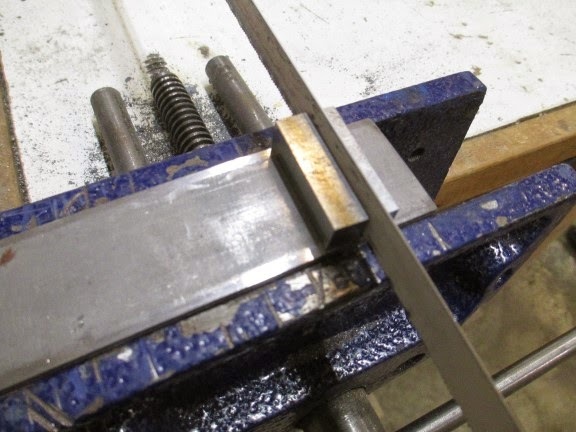 Nothing came loose, I gripped the underside bolster in the vise and hack sawed away. This is the inside. Perhaps this can show us how the mechanical connection was made. The screw appears to assimilate into the bolster. Nice! I think this is going to be satisfactory way to do hidden pins. 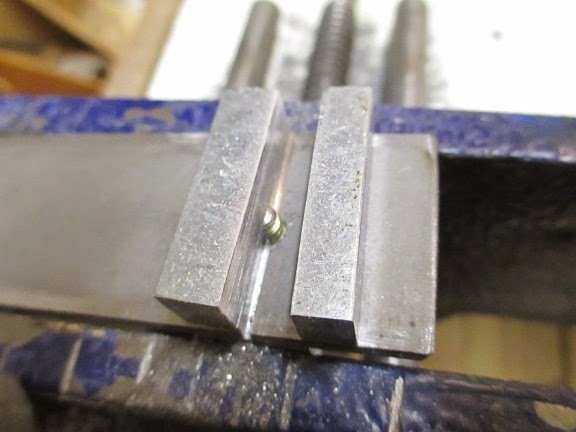 Two pins would certainly make a bolster very secure and add some good epoxy in the mix, this method of connection will last a lifetime. I will use and refine this process moving forward and ensure that mechanical fastening always works for the benefit of my customers. Here I am using 8-32 stainless machine screws and 304 stainless bolster pieces. 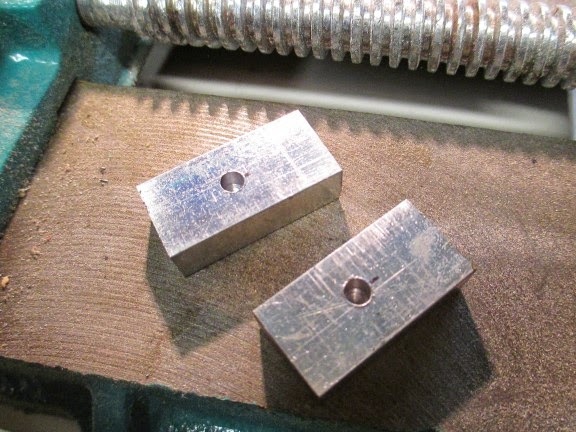 I drilled these to out with a 9/64" bit to a depth of 3/16" and the holes are hogged out with a Dremel. 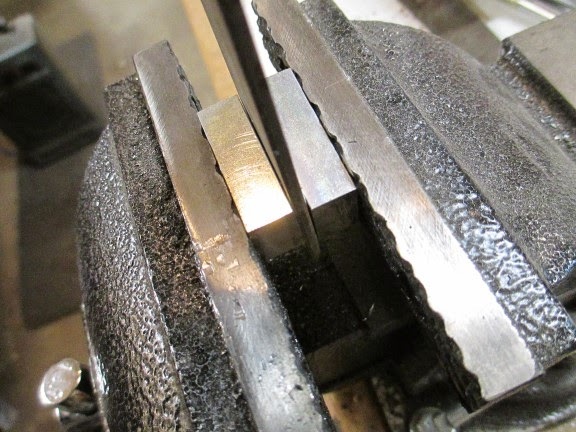 The pins are cut to 9/16"
The tang is drilled and tapped to 8-32 (do this machining before heat treatment) and the pins are threaded in 1/2 way. Here I added some epoxy as a sealer. This will keep moisture, blood, food, whatever nasties want to collect in any microscopic cracks. Pressing with the Hydraulic Pin Press. You can make something like the one I have for way under $100. This is what it looks like after pressing. 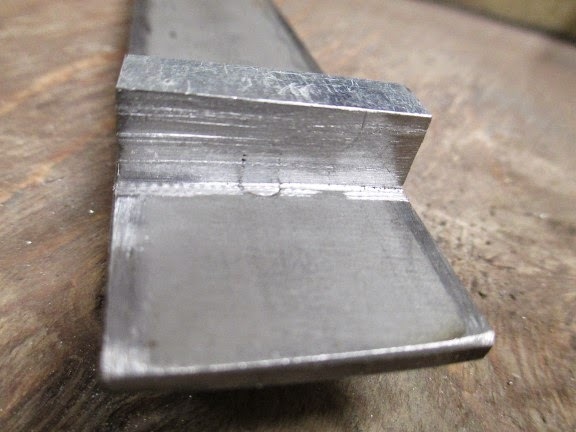 This is after some shaping on the belt grinder. Great article! I'm kinda taking a different approach, and would love to hear your thoughts on it. Drill the bolsters 3/16 of an inch deep, and 3/16 wide. Then, cut a 1/8 inch copper rod to 5/8 inch long, and then squeeze, with some loctite to secure it. Would this work? BTW, this is assuming an eighth inch tang. 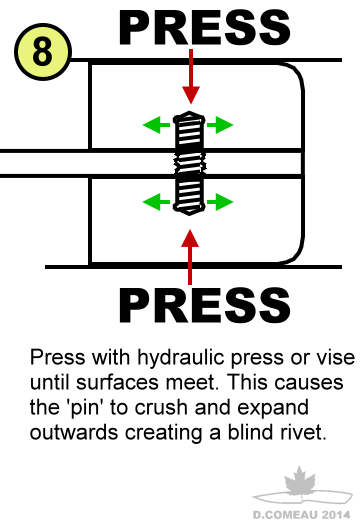 Hi, I think as long as the holes are of a taper, whatever you compress will be effectively be a blind rivet. Copper will squish much better than stainless. I'd do a test squeeze. Please let me know how it works. Very nice ! 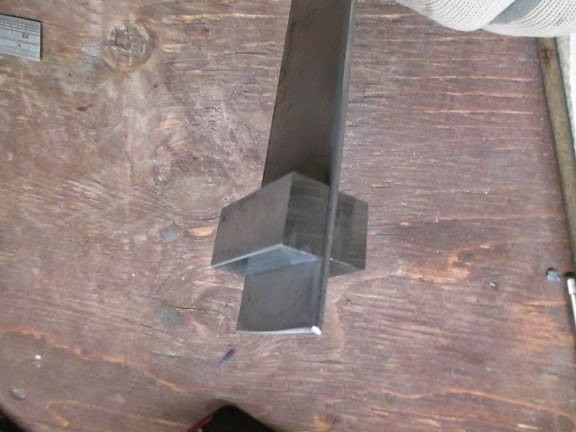 what kind of steel are you using for the bolsters? I was kinda hesitant to try bolsters already, but i think this way will make it a lot easier as i dont have worry about blending in the pins. Boa tarde; gostei muito deste modo de fixação do bolster escondido; parabéns! Sou iniciante na cutelaria. Obrigado pelas gentis palavras. Boa sorte! A couple of quick questions if you don't mind. I am about to tackle bolsters for the first time. Have you tried with any softer bolster material, eg brass, and if so, have you had any issues with deformation of the bolster with this technique? 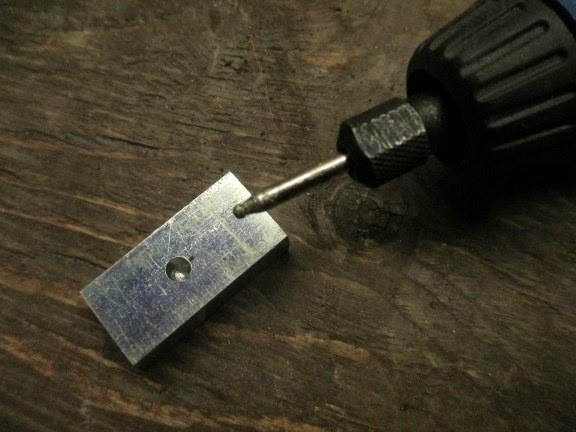 Also, have you tried with smooth pins and holes, how important have you found tapping the tang? 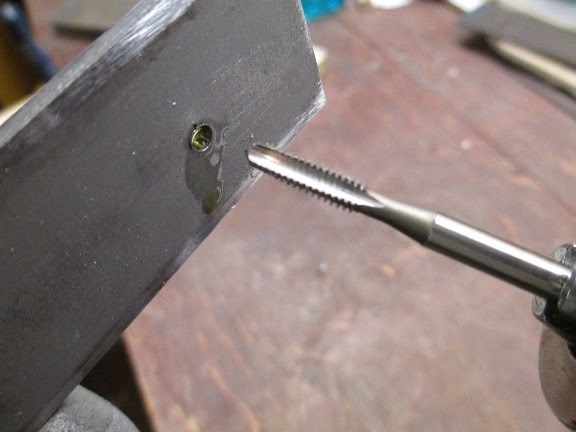 Also, a straight drilled hole in the bolster used with a threaded pin should provide a strong mechanical connection even without the taper (although not as strong but it should be plenty) and the threads themselves on the pin should allow enough deformation for a strong joint, especially with epoxy as well. Have you experimented at all with other variations? 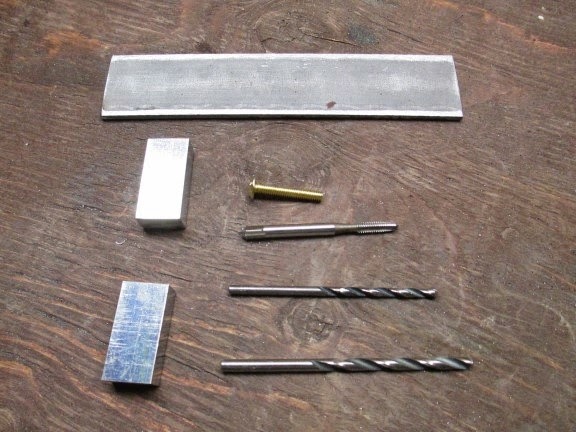 Not tapering the hole would make it much easier to machine and also not having to tap the tang would also be quicker and easier. I have only used the hidden pin thing with stainless bolsters. Softer material will be a little more forgiving. 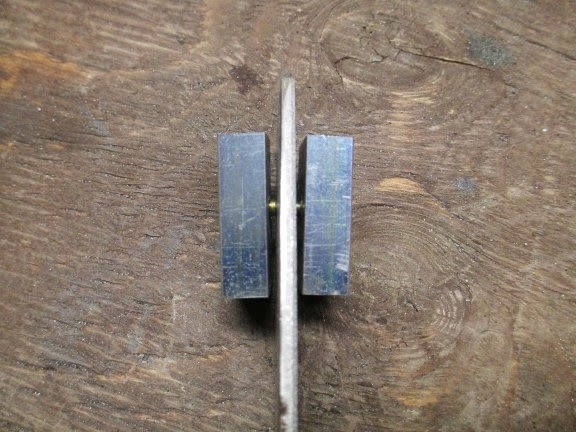 There should be no reason why a properly cut to length brass pin would compress and hold well. It may take some trial and error to get it right. 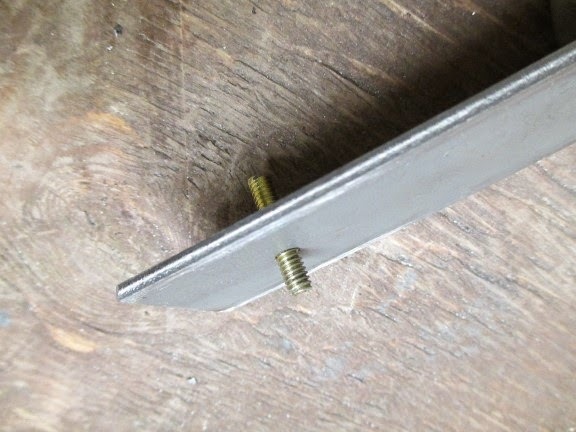 The pin expands to become a rivet and if you cut the pin too long there will be a gap between the tang and the bolsters. If the pins are cut too short the bolster won't be held on as tight as you'd like. 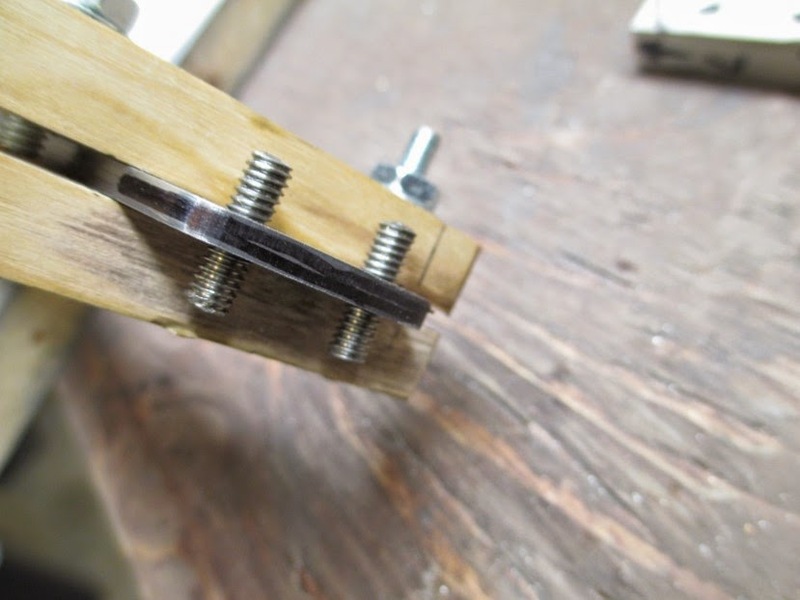 The value of tapping is that you can adjust what is sticking out on each side of the tang, plus the pins are held in place when pressing. Having a slightly tapered hole in the boster is more of an insurance policy; like a rivet having a head. Epoxy is used as a sealant more than an adhesive in this case; preventing moisture from getting in between the bolster and the tang. 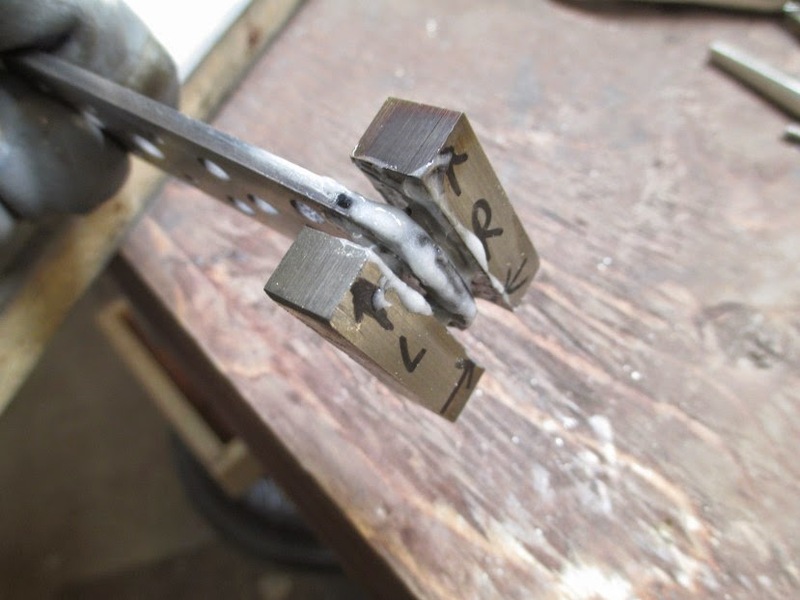 Almost all of my current model knives I us through hole pins and press them with a hydraulic press. Keeping everything clean and using the same material for the bolster pieces and pins makes for a nice presentation and the pins are not noticeable when finished. If you do experiment, please let me know what you find.